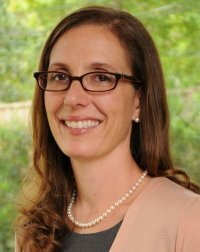 Next up is Anna Eastman, also running for Trustee in HISD District I. Eastman is a community activist and former social worker who co-founded along with her husband the 11 ½ Street Foundation, which recognizes and provides monetary awards for outstanding veteran teachers. She is currently a stay-at-home mom whose three kids attend HISD schools and has been involved in Travis Elementary School’s PTA since 2003, including a stint as PTA President. Eastman is a resident of the Heights. Ericka Mellon’s school zone blog lists the largest contributors to candidates in three contested Houston school board campaigns. Businessmen who promote charter schools are the largest contributors to the campaigns of Mike Lunceford and Anna Eastman, candidates, respectively, for west and north district seats. Charter schools already have strong supporters holding two of HISD’s nine seats. Harvin Moore IV was a founding board member and long-time treasurer of KIPP charter schools. Corporate spokesperson Paula Harris won her seat with the financial backing of Leo Linbeck III, who is chief planner for KIPP’s effort to recruit 10,000 of HISD’s current students. Houston business leaders, and philanthropies linked to them, have committed $100 million to the growth plans of KIPP and YES Prep charter schools. They clearly have an agenda developed privately for schools managed publicly. The nature of Eastman’s and Lunceford’s financial coalition raises questions about who they will represent if they gain seats on the school board. In the northside campaign, the charter-proponents seem to be playing a little bit of trickery. Linbeck is supporting Linda Toyota, while Natasha Kamrani, wife of YES Prep founder, Chris Barbic, is backing Anna Eastman. Eastman is also supported by an associate of John Arnold, one of KIPP’s biggest supporters. What charter-sponsors seem to be doing is trying to force a runoff, hoping the Hispanic vote will be lower on the runoff date. Groups with lower turnout tend to vote even less in runoffs, when fewer candidates are on the ballot and there is less publicity.